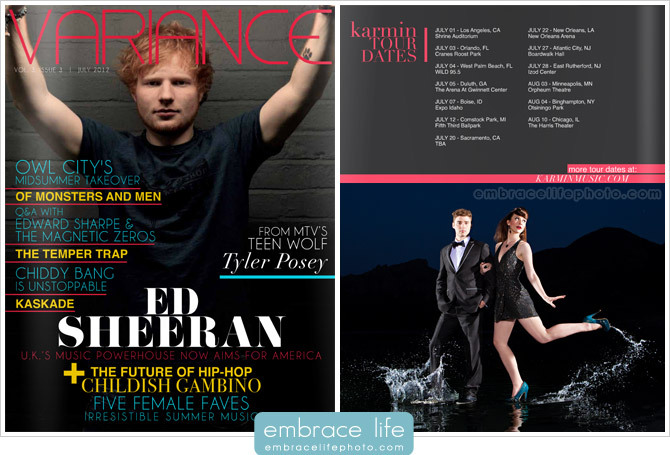 Variance Magazine is featuring our photographs of Karmin walking on water in their July issue. 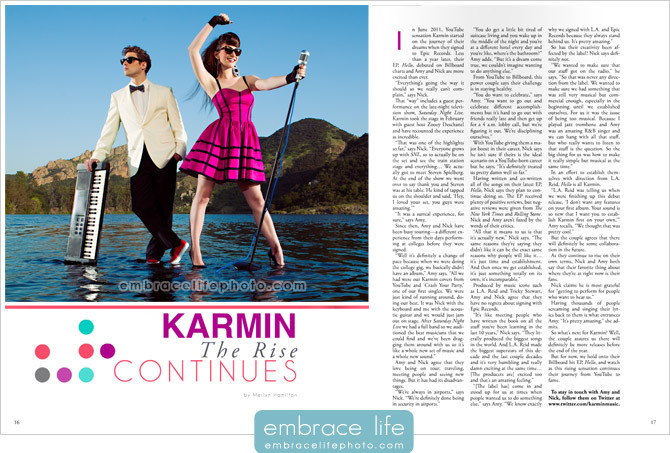 In the magazine, Karmin is featured alongside other great acts, like: Ed Sheeran, Owl City, Of Monsters and Men, Edward Sharpe & the Magnetic Zeros, Joshua Radin, and many others. Dude this is so dope!! Your works deserves to be in print bro.